My friends all know that I have a soft spot for anything watercolor from paintings, prints, to graphics. So naturally I would be drawn to watercolor inspired clothing as well! I think watercolors are so romantic, ethereal, and girly. I tend to gravitate towards watercolor prints that really show the water grains. Sound good to you too? 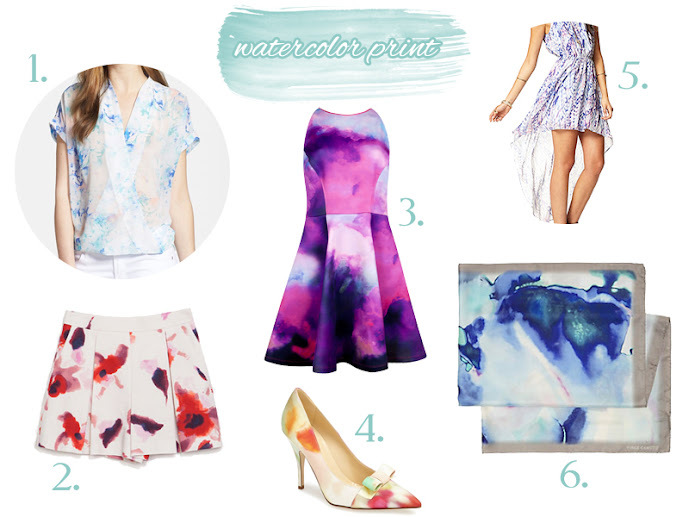 If so click through the jump for my six picks for watercolor printed pieces!